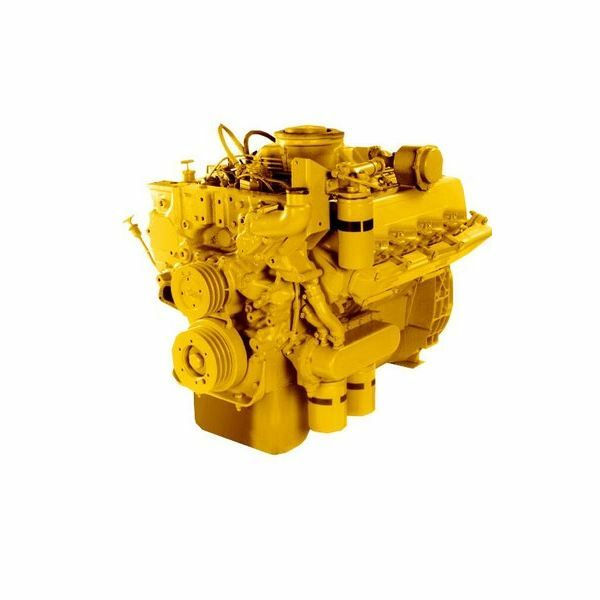 what is the function and structure of the bedplate in Marine Diesel Engines? A solid foundation is necessary for any structure, be it on the ground or meant for the sea. No doubt this axiom applies equally well to marine diesel engines which are huge and gigantic structures and have a lot of forces apart from their weight, such as the reactive forces when the huge piston rush up and down through the cylinders. 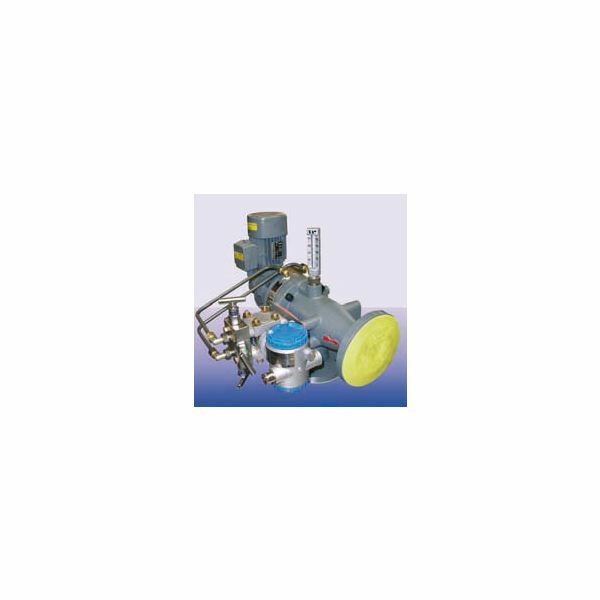 It goes without saying that a very strong base is required to support such load and forces and the bedplate of the engine servers as the structural base of the engine. It acts as housing for the huge crankshaft while it also supports the cylinder block. In this article we will see about the role and functions of the bedplate and learn about its usefulness and purpose. If you want to get an idea about the magnitude of weight which is being supported by the bedplate as well as have a general idea about the size of a marine engine just take a look at the picture below. 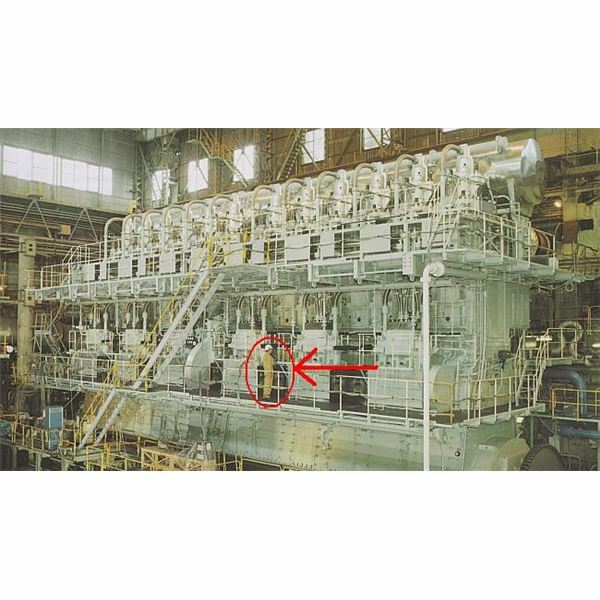 You will notice a red coloured circle with a pointer and that is meant to highlight a human being standing next to the engine. This will surely give you an idea about the size and magnitude of the marine engine. No doubt the bedplate required for such an engine needs to be strong both in the longitudinal as well as the transverse direction. 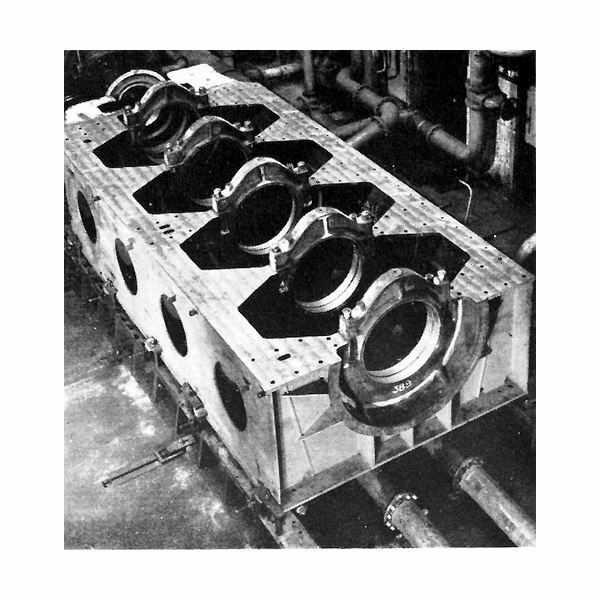 The image that you see below is that of the bedplate of the Doxford 58J4 which was fitted in a 15 thousand ton deadweight ship. Of course each bedplate has a different design and size depending on the type and size of the engine, but this image would give you a very clear idea about the type of component we are talking about. After seeing the actual picture above it would be helpful to see the sketch given below of the bedplate. 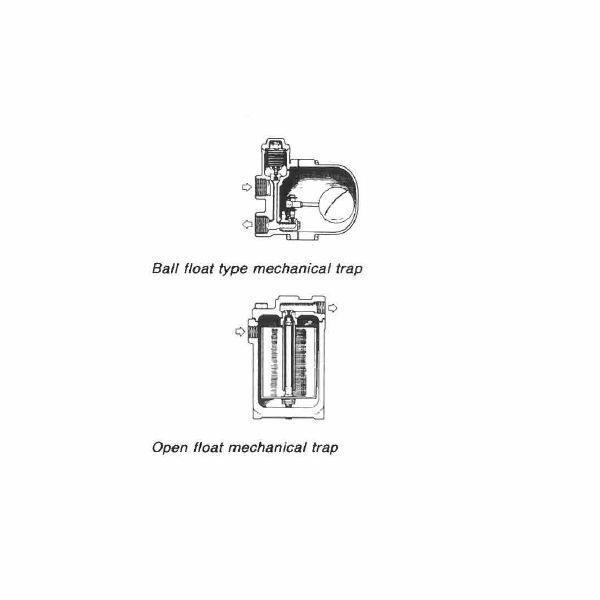 Foundation bolts are used to secure the bed plate to the tank top and the limit stops shown in the figure help to absorb the play in both directions thus making the holding bolts free to shear stress. It is very important to regularly inspect the bedplate for flaws at various regions such as cross girders, welded seams, tightness of holding bolts etc. Any discrepancy in these could result in the crankshaft being misaligned which could cause lot of damage. 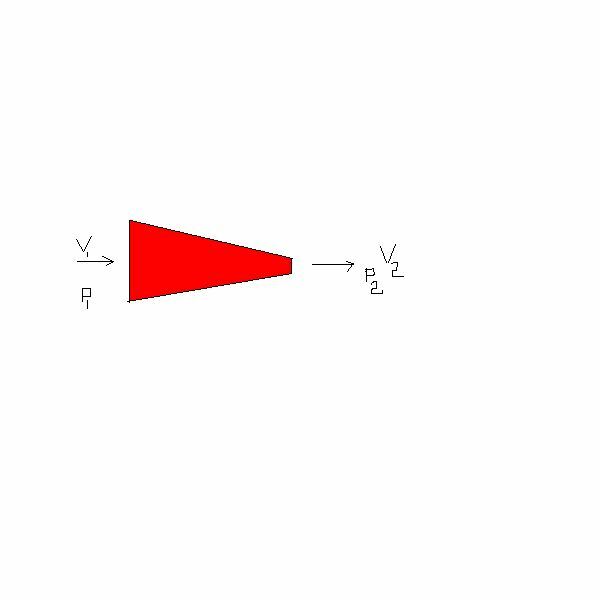 Parts of the bedplate such as the cross girders are subjected to heavy cyclic loading due to gravity and inertial forces. This also needs to be protected from excessive vibrations which is of course taken care of during the design and manufacturing stage by ensuring that it is fabricated out of a single casting of steel plate and is properly annealed after that. 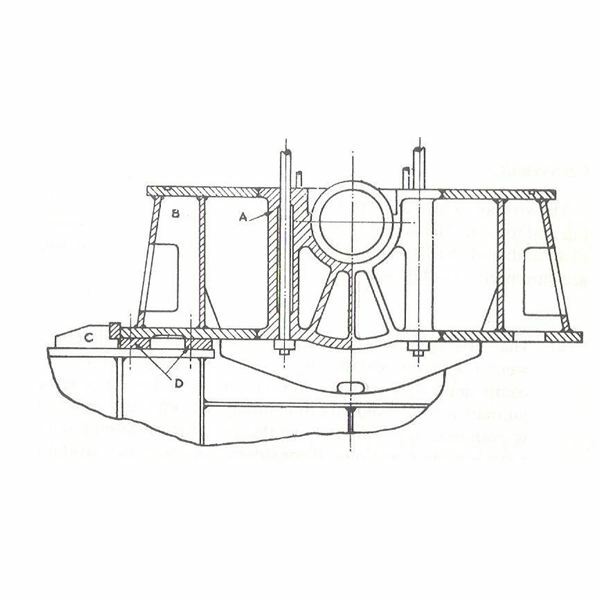 In the next article we will take up the component which is held between the main bearings of the bedplate namely the marine diesel engine crankshaft and will talk about its construction, loading and checks. 2. Bedplate Sketch – Sanyal, D.K. 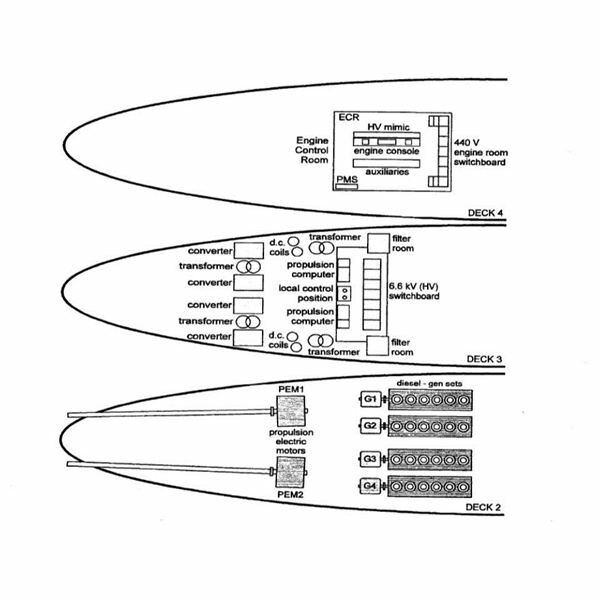 (1998) Principles & Practice of Marine Diesel Engines. Mumbai: Bhandarkar Publications.